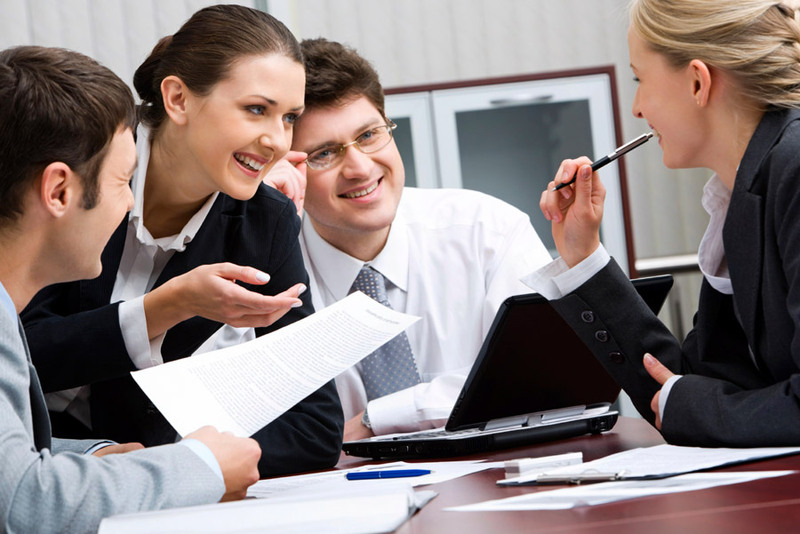 the meetings are efficient and results oriented"
Prolonged wordy meetings - does that sound familiar? As a leader you prefer that your team is both creative and effective - that they take their own initiative and responsibilities, which contributes to the growth of the business. Flecks Synergimetod® offer a changed meeting culture, which in turn paves the way for renewal of both the business and working environment that leads to high performance teams and satisfied employees. With Flecks Synergimetod® you conduct meetings where there is a passion for participation. They are enjoyable, dynamic, meaningful and at the same time shorter and more effective. joys of coaching our clients and partners"
An important purpose of such a grouping is having the opportunity to expand their interpersonal connections and create greater understanding, interest and involvement in their respective responsibilities. The overall objective of a triad is to refine the work process and enhance the business value proposition by helping each other to focus on the company’s/organization's core issues, and to deliver increased customer value. which has in turn helped me to further develop my own business"
In short, the Synergy Group aims at highlighting relevant issues (professional and/or personal) among a handful of participants from differing work and social environments. Flecks Synergimetod® is the tool to achieve this. Here you also train your "response-ability”. In short, this means that everyone takes responsibility for both the meeting content and the process that leads to results. The key to success is that everyone "owns the process". Does this sound difficult? The method is simple and powerful and can readily be applied to the participants' daily lives.